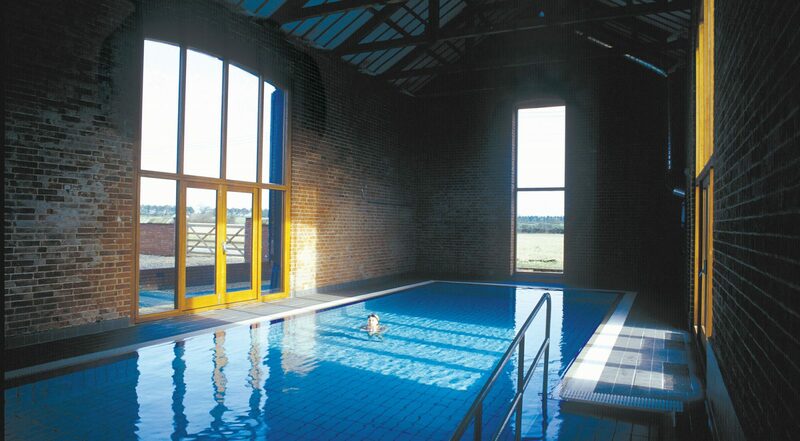 Our luxury swimming pool is open daily all year round for guests staying at Cranmer Country Cottages Norfolk. 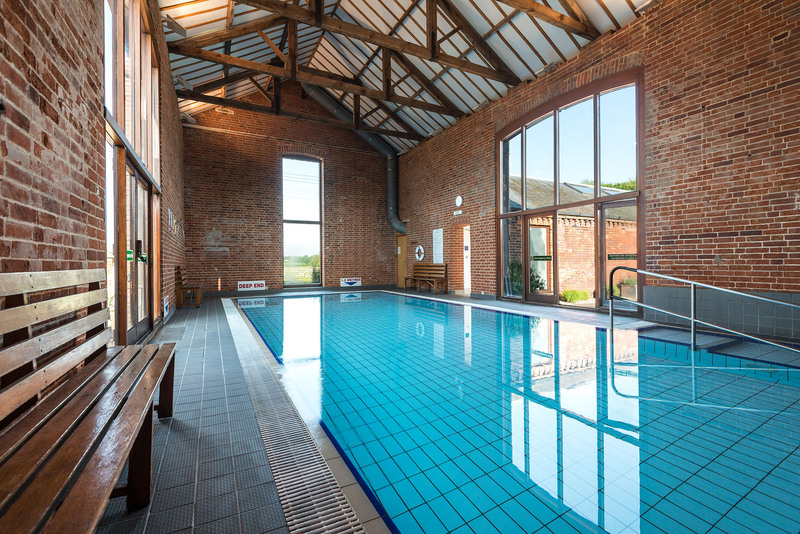 The indoor heated swimming pool is just across the courtyards from Swallow, Tern, Wagtail and Owl Holiday Cottages and a short nip from Garden House, Avocet , Coot and End Cottage. 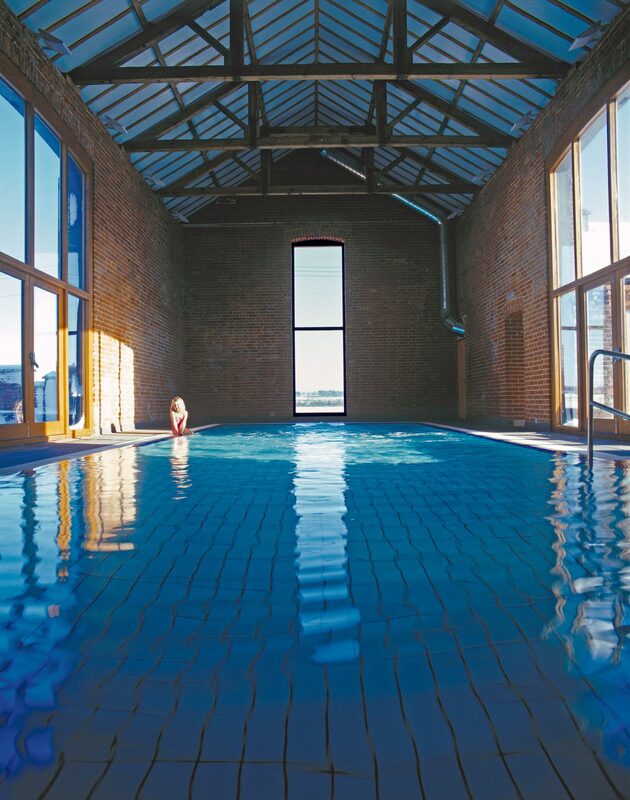 The indoor swimming pool is a heated, deck level fully tiled pool with Jet Stream and the pool hall has full climate control. The showers and changing rooms are heated as part of the heat recovery system. 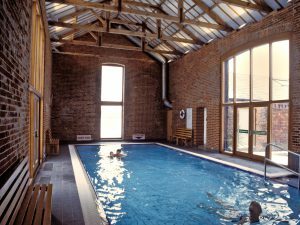 As part of our commitment to providing eco-friendly holidays, the pool water is now also heated from an array of solar panels on the south facing roof and a biomass boiler for grey days. Sorry, the pool is not available to friends or visitors of our guests or to people staying in other local holiday accommodation. 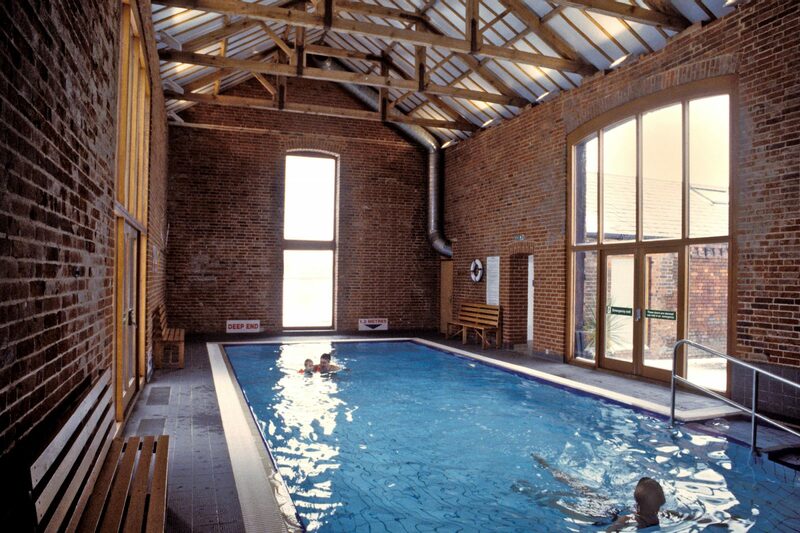 The holiday cottages luxury indoor pool is housed in the old threshing barn a Cranmer Country Cottages. 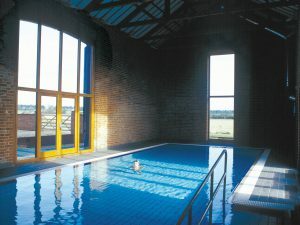 The pool is a specially built facility, designed and approved for unsupervised use with changing and shower areas. 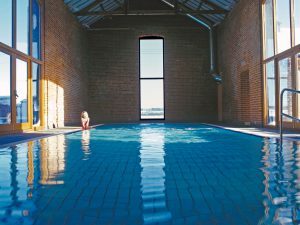 The luxury cottage pool is for the use of Cranmer country cottages guests for at least eight hours a day during peak season. 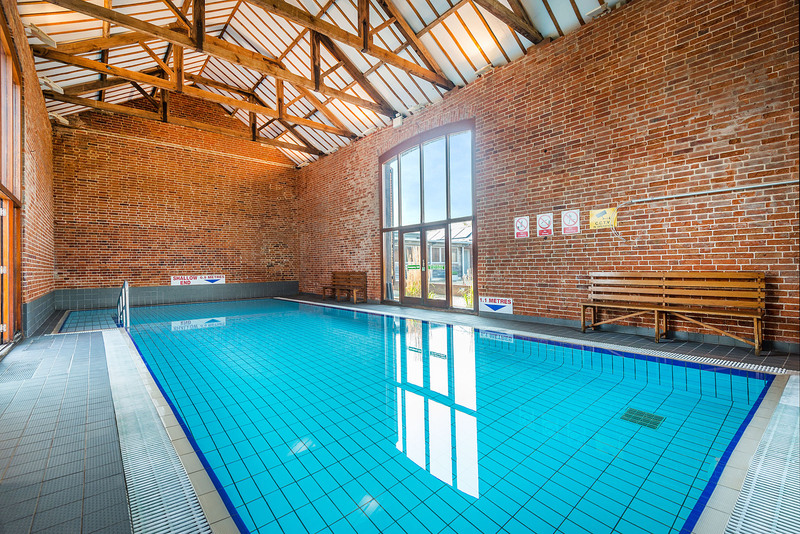 Cottage residents can use the pool on a shared basis at the specified times. In addition unused private slots may be available at short notice. These are normally 1 hour sessions and are exclusive. The cottage pool is entered using wide shallow steps with a handrail.It is fully tiled with a sophisticated modern filtration system that is highly effective yet uses very low levels of chlorine. The pool is dosed with salt which passes through an electrolytic UV tube producing tiny amounts of sanitizer. Last Pool Entry is 45 minutes before the session end time. Please leave the pool building on time. Please leave outdoor shoes in the Pool Lobby. 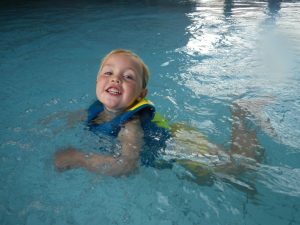 Infants under 12 months are not permitted to swim in the pool. All day swimming – staying guests only. The luxury indoor heated pool at Cranmer is the perfect place to encourage babies and toddlers over 12 months into swimming. The water temperature is 29 degrees increasing to 30 degrees with solar gain. 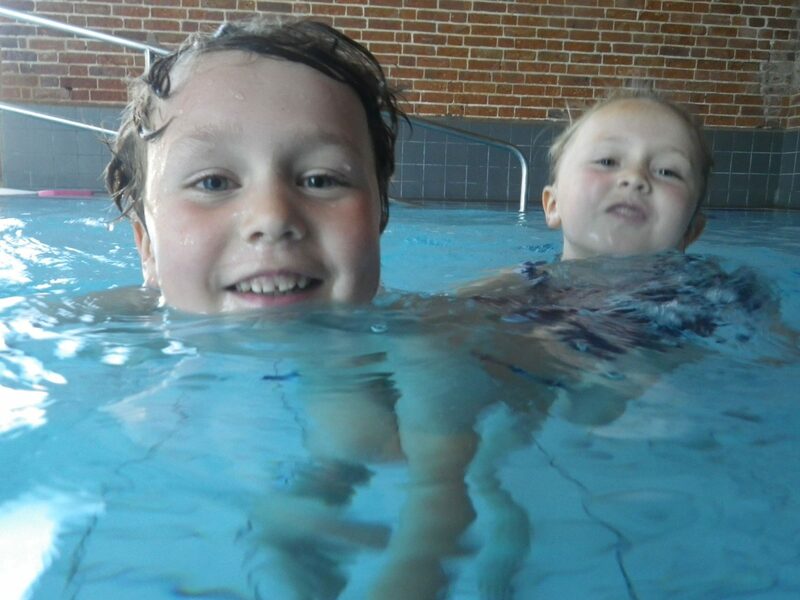 To prevent accidents in the pool we just ask that you use the neoprene happy nappy system that can be purchased from Amazon or Splashabout. 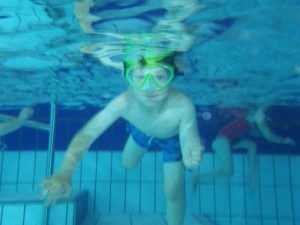 Please note that the pool is heated to 29 – 30 degrees maximum and is not heated to 32 degrees as an infant training pool dosed with chlorine might be. Babies and infants must wear neoprene swimming costumes and double nappies to prevent leakage. The pool is salt dosed which is not suitable for very young babies’ ingestion. 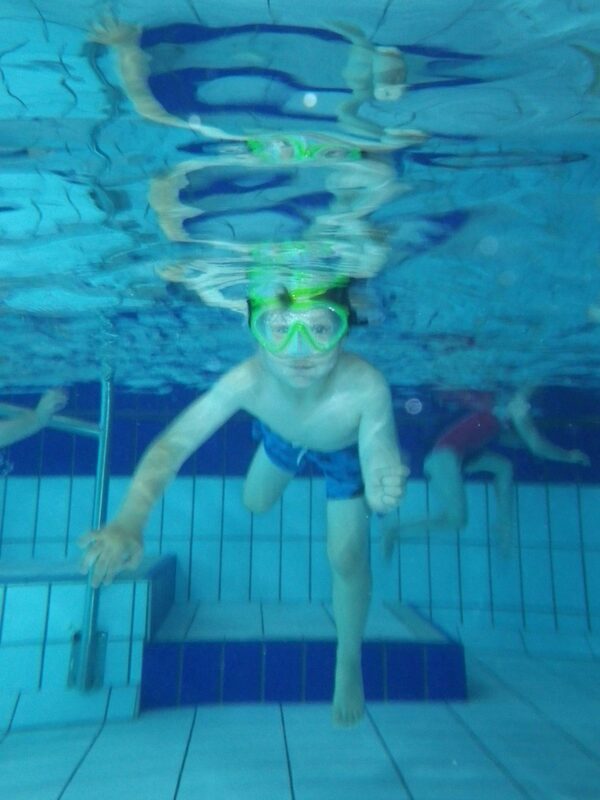 The pool is designed for recreational swimming it is not a leisure pool – it is a great place for children to build their confidence and learn to swim. If you have concerns about the temperature please download this information from Rospa. Please download and carefully read our Swimming Pool Rules below and then sign the form. We need to receive this form before we can give you a key for the swimming pool. We don’t ask for a refund but we will charge your security depost £20 for lost keys.